Big Sky Ski Weekend is great opportunity to come shred the slopes at Big Sky and have a lot of winter fun. This package is valued at over $550.00 per person – our Scouts can go for $90.00, get frost points and a merit badge! Registration opens Nov. 3, 2016. If cost is an issue for any scout please have your scout master contact Peter Jones at 406-431-2705 and we will get you a scholarship at no cost provided by Montana Council, Big Sky Ski Resort and Jack Creek Lodge. Visit Mountain Valley District Website for registration starting Nov. 3, with the first 100 scouts to register will be accepted. 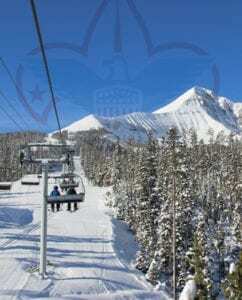 Requirements are to ski with scouts Friday afternoon and Saturday, any skill level. Limit 1 volunteer per 8 scouts. No equipment supplied, rent on mountain, or bring your own gear.